Fancy Colored Diamonds can come in 12 main colors: Red, Orange, Yellow, Green, Blue, Purple, Violet, Pink, Black, Gray, Brown, and White. There has been some speculation that there might be 14 main color categories, including the Chameleon diamonds and the White diamonds. The latter category is not to be confused with colorless diamonds; white is indeed a color category. How Is a Colored Diamond Formed? Fancy Color Diamonds have recently begun to gain significant traction, especially among investors. We know they can hold significant long-term value, but what else is known about them? How do they get their beautifully unique colors? Let’s start with the basics, diamonds are formed when kimberlite deposits are caught in the flow of a volcanic eruption, bringing them closer to the Earth’s surface. The intense heat and pressure cause carbon atoms to fuse in a specific molecular structure and create the stone, but it doesn’t stop there. There are a plethora of other elements present in this process, including nitrogen and boron, that can be fused (or “included”) in the diamond’s carbon structure. This is what causes a diamond to have a certain color. The above image depicts all 27 possible colors a naturally colored diamond can be found in. Red, purple and pink diamond colors are thought to be caused by deformities in the stone’s crystal lattice as a result of immense pressure during the gem’s formation. Yellow and brown diamonds are caused by the inclusion of nitrogen. Green diamonds are formed after the stone has been exposed to radiation for a period of time. 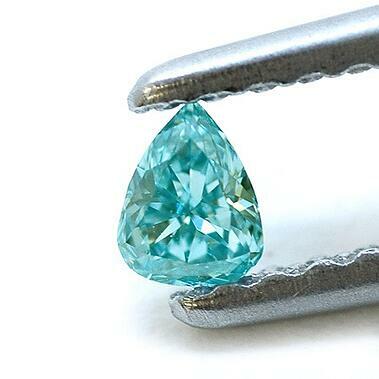 Blue diamonds get their color due to the inclusion of boron. Black diamonds are caused by an infinite number of scratches, or inclusions, that are inside the diamond. Gray diamonds are formed when there is a hydrogen inclusion in the stone’s structure. Of course, color and rarity go hand in hand, as certain elements and/or phenomena are more common/rare than others. For instance, nitrogen is much more abundant than boron leading to yellow colored diamonds being more commonly found than blue diamonds. While a certain color category might be rare, the various shades of color within that category also play a significant role in the stone’s overall value. As we saw with color modifiers, it is possible for diamonds to exhibit more than one color. 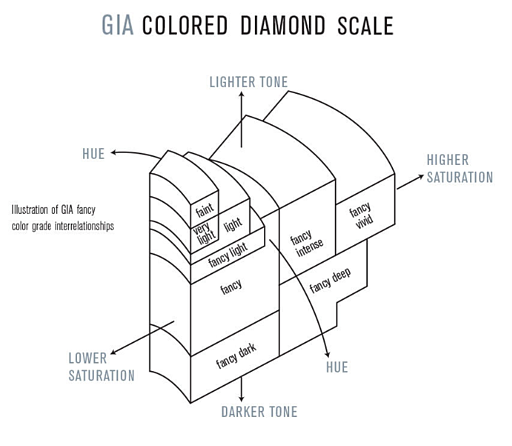 Color modifiers are known as the secondary (or sometimes even tertiary) hues which modify the main color of the diamond. 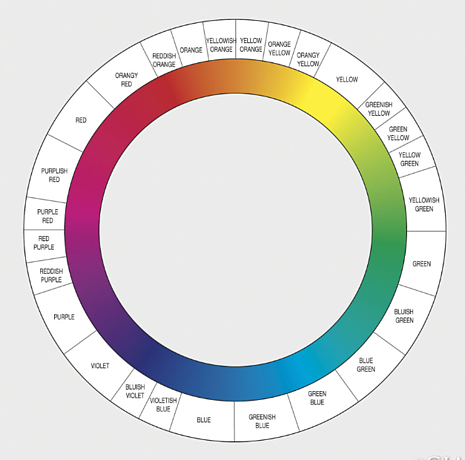 These colors are always denoted in the stone’s name and come before the main color category. 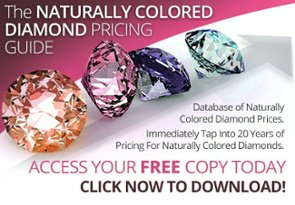 For more information on color modifiers and how they affect a diamond’s value check out this post. What Are The Tones of a Diamond? Similar to the definition given in art, the “tone” of a diamond’s color can be defined as the relative differences in light and dark in the stone’s hue. Analogous to the saturation in a picture taken from a digital camera, “saturation” can be defined as the strength and the depth of the diamond’s color. This term is mainly reserved for colorless stones. It would not make sense for a cushion oval-shaped green diamond to be referred to as a ‘fancy fancy green diamond’. 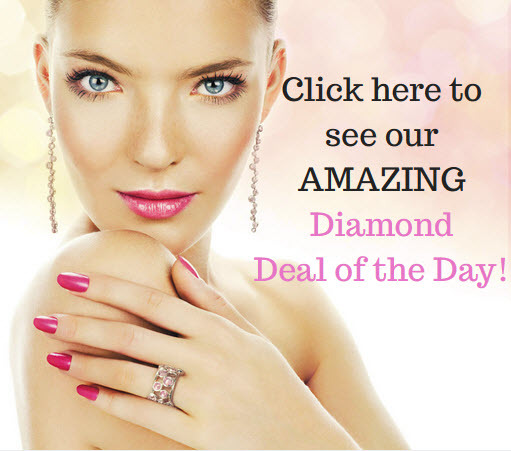 Most people still refer to fancy color diamonds colloquially as fancy diamonds since they are not familiar with the distinction in their meanings. Note: If you are going to be talking with a diamond expert, it is important to use the above terms correctly so that there will be no confusion as to what is being talked about.